Well it has been a while, but the Newsletter is back in business. I am very sorry for the lapse over the last 6 months, but we will work to get these out on a more routine basis. This past summer provided us with some of the best course conditions we have ever had. Mother Nature gave us the right amount of rain and Matt, Roy and the grounds crew took full advantage. Many non-members were impressed by how great our fairways and greens were, and commented on the “lush” rough. Speaking of the rough, I want to thank the membership for going out of their way and observing the new cart rules. The impact on the rough has been a noticeable improvement in its overall consistency. I also want to thank everyone who participated in the “adopt a hole” program. Timely divot repairs in the fairways and on the greens made a huge difference in the quality of the turf. New sand traps have been installed on holes number 1 and 13. These are a significant improvement over the previous traps. Also, the new women’s and senior tee was completed on hole number 2 and has been open for most of the summer. Later this fall we will be working on the waste bunker on hole number 10. We have distributed the membership categories and dues for 2018. As with last year, there will be a pre-pay option. We will also be having a town meeting for the membership to be updated on what is going on and ask questions. That meeting is scheduled for Wednesday, October 18, 2017. There will be a lot going on at the Club in October. Golf events scheduled for October are the Yardley Cup (October 13th), Women’s Closing day (October 21st) and Men’s Closing day (October 28th). In the Food and Beverage operation, Sunday Brunch in the Grille Room is now available every Sunday from 11:00 a.m. to 2:00 p.m - $19.95 for adults and $12.95 for children under 12. On Thursday, October 19th we will be holding a Crab Feast with all you can eat crab legs and other side dishes for $45.00 per person. You can celebrate Oktoberfest in Alexander’s Pub during the month of October. There will be beer specials and German cuisine throughout the month. Our Banquet service is developing very nicely. We have had a large number of parties this summer and many more parties along with numerous weddings are booked well into next year. In addition, several “special events”, like the Sinatra Impersonator night, will be happening on a monthly basis. On Tuesday, November 7th, we will be holding our annual Board of Governors Election. There are 3 Board seats up for election and we have 5 candidates running for them. Information will be mailed to all Shareholders, including a voting proxy/ballot towards the end of October. It is very important for all Shareholders to return those proxy ballots so we can achieve a quorum. 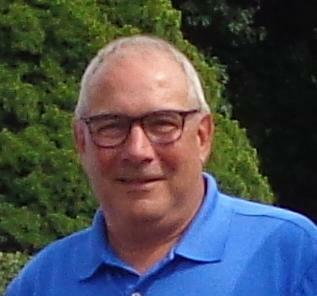 All in all, it has been a very productive and busy golf season this year and I am sure it will continue into the fall. Hopefully, Mother Nature will give us many more great golf weekends! I want to thank all the members and Shareholders for the support you have given the Club, the Board and myself. We really appreciate it. This is what makes Yardley Country Club so special. There are some changes coming in 2018 to our Membership Categories and Dues. You are encouraged to attend the October 18th meeting at 6:00 p.m. to learn about the new categories and dues and have your questions answered about these changes. The season of fall has arrived and with that comes the limited time Fall Fore FREE Membership Promotion. This is a golden opportunity to refer new members to come and join our Yardley Country Club family. New members who join for 2018 will receive the remainder of 2017 for no additional cost when they pay for 2018 in full or under the Fall Fore FREE payment terms. The Member Referral Program is still in full swing. Be sure to take advantage of our Member Referral Program. There is no limit to how many new members you can refer. Welcome all the New Members of 2017 to Yardley Country Club. 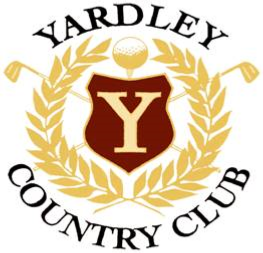 The Yardley Country Club Membership Committee is working to put together another New Member Social Mixer. 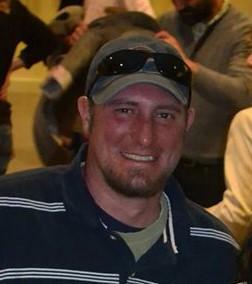 This will give New Members an opportunity to meet each other as well as established members of Yardley Country Club. If you were unable to attend the last one in June, we hope to see you there for a night of camaraderie and welcome. Details for the event will be coming out soon, so stay tuned for the date and time. What a golf season we’ve had so far -- the weather has been fantastic and our total rounds played for the year and participation in our tournaments have all been excellent. This is a wonderful time to start spending the Golf Shop Credits you’ve accumulated this season. We’ll have great deals throughout the fall on both our apparel and golf clubs. With the good weather we have some late season reminders about golf cart, push cart traffic and golf course upkeep. Remember to keep all four wheels of your golf cart on the cart paths and all push carts should be kept 30 feet away from the greens. Also fill divots with the sand provided on your golf carts and repair ball marks. If we can follow through with these simple tasks, it will go a long way in keeping our course in great playing shape throughout the year. Putting or chipping from off the green? Most of the time, those who criticize a decision made on the golf course are simply projecting what they would have done in a similar situation - and are now broadcasting what everyone else should do. A player who imagines and believes she/he stands a better chance of making a shot a certain way will more quickly free up the mind/body from nervousness and tension by following what intuitively feels best. Monday – 9:00 a.m – 5:00 p.m.
Tuesday thru Friday – 8:00 a.m. – 5:30 p.m. Weekends – 7:30 a.m. – 5:30 p.m.
Save the date… Champions Awards Dinner on November 18th at 6:00 p.m.
Come out for a fun night and celebrate our 2017 Champions! Saturday, November 18th – 2017 Champions Award Dinner – 6:00 p.m. There is not a high enough percentage shot in the world to offset or compensate for doubt or disbelief. As we make our way into the fall golf season, the temperatures are slowly cooling off. The days are getting shorter and the conditions are great for growing grass. We were able to get through Green and Tee Aerification fairly smoothly and both are healing up nicely. Going into fall, we will be moving back into projects, mainly bunker renovation. We compiled a list prioritizing which bunkers need to be addressed first and will complete them this fall/winter. We will also be concentrating on our normal fall leaf clean up. The Crew and I have been diligently working to keep the golf course in great shape and with the cooperation of Mother Nature, I feel we have had a great summer season and we expect to continue these conditions into the fall. I’m asking the membership’s help on keeping up these conditions by fixing ball marks and filling divots. These 2 simple processes will help keep the course in great shape throughout the fall/winter golf season. 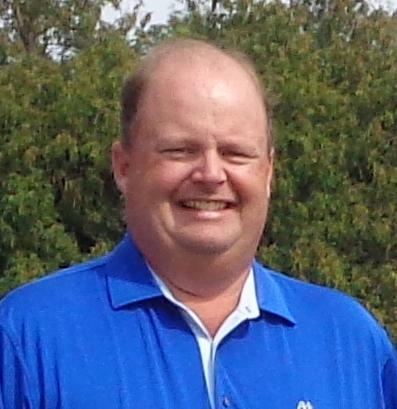 Once again, I would like to thank the entire membership for your support and hope to see you out on the course! In an attempt to speed up the pace of play, especially Saturday and Sunday mornings, the Rules & Regulation Committee has been monitoring the tee off and finish times for all of the morning groups. Some weekend times approach 4½ hours as the morning progresses. Reminder letters to groups that finished more than 5 minutes behind the previous group’s time were sent earlier. Adding in the 8-minute difference in starting time, an additional 5 minutes means the group actually finished 13 minutes behind the group in front (or a full hole behind). 1. Play ready golf. You can chat as you walk but go to your ball and be ready to play. If you are in a cart with another player don't sit and wait for them to play, drop them off and go to your ball. 2. Maintain your position with the group in front. Someone in the group must be responsible for getting the group back in position if you fall behind. 3. 17th Hole: When everyone in your group is on the green, wave up the group behind if they are on or approaching the tee, especially when there is a backup on the box. The 17th hole plays more like a short par 4 and waving up the group behind will be a great help in bringing the times back in line. If your group receives a warning letter about your time, the purpose is to make everyone in the group aware of their position on the course. 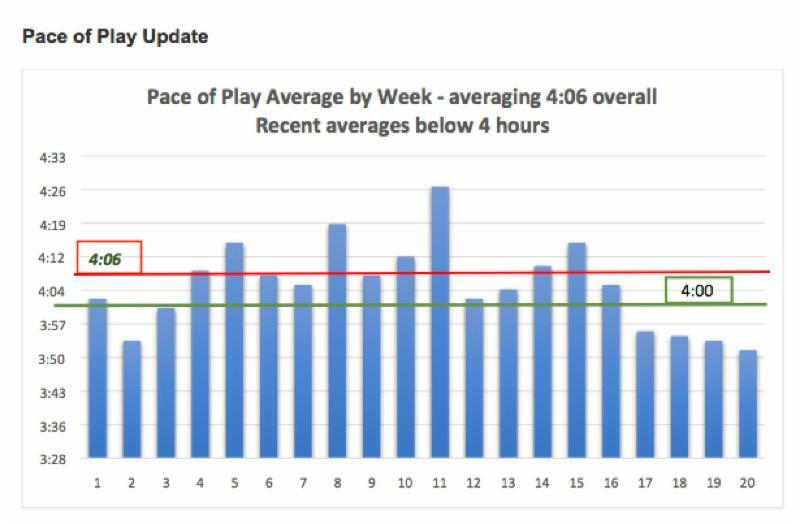 There may be a reasonable explanation on any given day but if the same people continue to get late times then reasonable options for the offending players must be explored, including the loss of playing privileges for a time in their time slot. The YWGA has had numerous winners this season. We invite you to view the bulletin board in the ladies’ locker room, which features all those who have made it into the 2017 winner's circle. 1. 2017 Women’s Golf Association of Philadelphia, Charlotte N. Barnhard Cup, Llanerch CC, low net winners: Penny Roberts (Cherry Valley CC) and Jane Warwick (YCC). 2. 2017 Women’s Trenton District Golf Association Cup, net champion: Jane Warwick. 3. 2017 Women’s Trenton District Golf Association, Hopewell Valley CC, Seniors Net Champion: Jane Warwick. 4. 2017 Women’s Golf Association of Philadelphia, Class B Seniors, Cherry Valley CC and Whitemarsh Valley CC, 2nd low net: Jane Warwick. 5. 2017 Women's Golf Association of Philadelphia, 1st B Stroke Play, Spring Mill CC 1st gross: Jane Warwick. 6. 2017 Women's Golf Association of Philadelphia, 1st & 2nd B Stroke Play, Spring Mill & Stonewall CC 2nd net (match of cards): Jane Warwick. 7. 2017 Women's Trenton District Golf Association, Stableford, Cherry Valley CC, 2nd flight; 2nd place: Judy Schreiber & Jane Warwick . 8. 2017 Women's Trenton District Golf Association, Partner Better Ball, Old York CC, 2nd flight, 1st gross: Erika Verschelde (Old York CC) & Jane Warwick (YCC). 9. Women's Trenton District Golf Association, Solheim, Yardley Country Club, 5th flight, 2nd place: Kris Miller (Peddie Golf Club) & Jane Warwick (YCC). 10. 2017 Women's Trenton District Golf Association, 2nd day Amateur, Oak Hill, 3rd net: Jane Warwick . 11. 2017 Women's Trenton District Golf Association, 1BB Gross & 1BB Net, Copper Hill, 3rd flight, 1st place: Penny Roberts, Donna Avolio, & Joanne Peterson (Cherry Valley CC) & Jane Warwick (YCC). The YCC WGAP Team had a so-so season. We started out in the middle of the 8th cup and we ended there. Good news: we did not lose any ground. 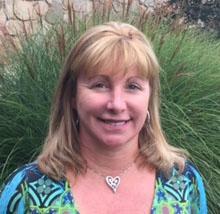 Thanks to our captain, Janet McIlvaine, for leading us through the season. Don’t forget to record your best scores for each hole, chip-ins and birdies in the binders in the locker room. Your entries are worth $$$ and time is running out. These can be recorded up until Sun., Oct. 15. 1. Sat., Oct. 21st: Ladies Closing Day, 8:30 a.m. Enjoy a great round of golf followed by lunch. Sign up in the locker room. 2. Thurs., Nov. 2nd: Ladies Closing Dinner. Sign up in the locker room. 4. Thurs., Dec. 14th: Ladies Holiday Party. Sign up in the locker room. Yardley Country Club's Banquet Department is proud to announce our success over the past year with the changes to the Banquet Menus as well as Alexander's Pub Menu with notable increased sales in both locations. We are making improvements regularly in an attempt to win our club members' patronage. Our department’s mission is quality food preparation and service with our total commitment to our loyal patrons. The Yardley Country Club is a beautiful place to hold your next special event or celebration. Plan your next party with us! We offer a Four-Hour Party Package starting at $24.95 per person. We provide a choice of buffet or sit-down meal, beverages, deluxe dessert station, party cake, china, choice of linen color and centerpiece. Call me at (267) 399-9227 for more information. Complete Wedding Packages start at $89.95, including tax and gratuity. These specials include five hours of open bar, cocktail hour with hot and cold hors d’oeuvres, a complete buffet, Venetian sweet table, and a choice of wedding cake. Brides searching for a fairy tale wedding can choose from affordable event packages tailored to fit their needs. Call me at (267) 399-9227 for more information. Join us every Sunday in October for a fabulous brunch in the Grille Room. Smoked ham and roast beef carving stations, hot pasta entree, grilled chicken medallions, home fries, sausage links, bacon, eggs, french toast with warm maple syrup, vegetable pasta salad, marinated tomato and basil, house salad, yogurt, cheese, fresh fruit salad, muffins, danish, bagels, coffee and juice for just $19.95 per person, $12.95 for children under 12. Call (215) 493-4531 ext. 118 the Thursday prior to make a reservation for this delicious Sunday brunch. Enjoy locally farmed beef and poultry selections with fresh vegetables served family style and fresh fruit pies for dessert. Tickets are $40 for adults and $10 for kids under 10 with the option of chicken fingers, hot dogs, french fries and dessert for the children. Call (215) 493-4531 ext. 118 to reserve by Oct. 12th. Enjoy a free sampling of menu items and gather event information from Yardley Country Club's experienced banquet coordinators. Learn more about holding your wedding, Bar/Bat Mitzvah, bridal shower, rehearsal dinner, fundraiser, corporate banquet, and other special occasions in our lovely facility. Call (267) 399-9227 by Oct. 17th to RSVP for the open house. Includes all you can eat crab legs, french fries, homemade cole slaw and unlimited Coors Light draft beer and soda - $45 per person. Children under 12 have the option of chicken fingers or hot dogs, french fries and dessert for $10. Call (215) 493-4531 ext.118 to reserve. 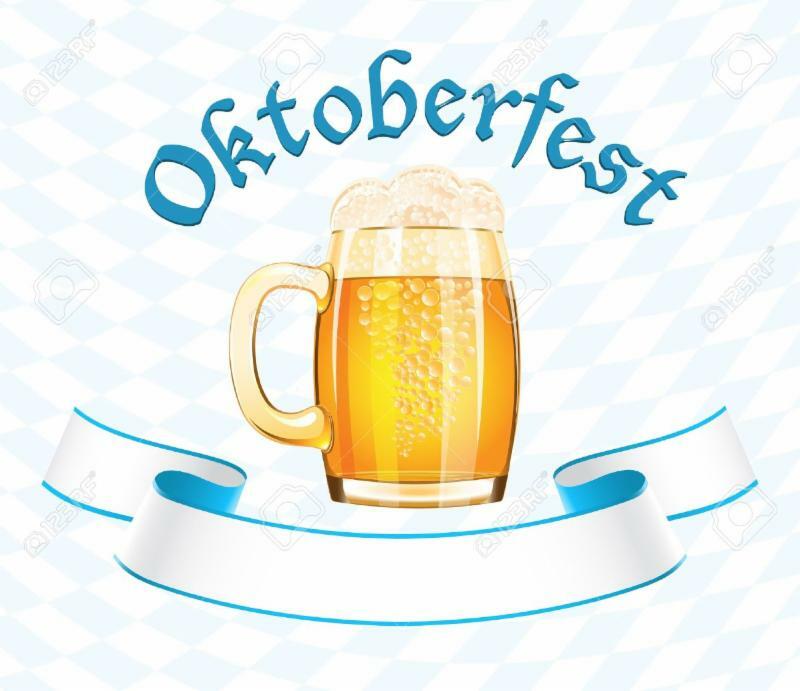 Celebrate Oktoberfest in Alexander’s Pub during the month of October with German cuisine and beer specials. Enjoy beer and cheddar soup, bratwurst and sauerkraut, meatloaf, pork wiener schnitzel and German potato salad. With the end of the golf season approaching, my hope is for a mild winter, so the members will be able to continue playing for as long as possible. We are ready to keep the excitement in Alexander's Pub on its highest level. We are planning some fun theme nights and live musical entertainment. As always, we will make your visit to Alexander's Pub a memorable one that will keep you coming back! If you have any ideas about events that you would like to see at Alexander's Pub, please don't hesitate to share them with me.